We know that looked after children have significantly lower educational attainment than their peers, but that with the right care and support they can realise their full potential, which is why we have developed this essential education guide. Written for social workers, foster carers, residential care workers and independent reviewing officers, the guide aims to demystify the complexities of the education system and explore how the legal requirements should influence practice. There’s information about a wide range of areas including the role of designated teachers and virtual school heads, Personal Education Plans, and special educational needs and disability, as well as early years provision and education beyond 16. To purchase this publication in Kindle format directly from Amazon, please follow the link HERE to purchase the e-book. A clear, jargon-free guide to the statutory framework for fostering services. 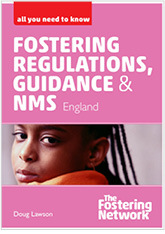 This introductory guide has been updated and is ideal for foster carers, social workers, panel members and everyone who wants to access relevant information about the legal requirements and how to put these into practice. 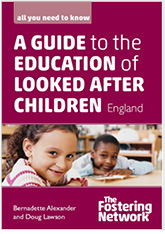 The All You Need to Know series is essential reading for everyone concerned with foster care and looked after children. The four titles provide practical advice on how to meet the legal requirements that govern fostering services and care planning in England. 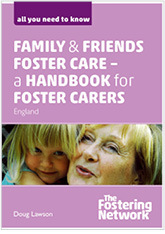 This guide has been specially written for everyone who is thinking about becoming a family and friends foster carer, those who are family and friends foster carers already and social workers and others who work with these carers. It includes an up-to-date explanation of the legal framework that governs fostering services and family and friends care. By placing your order for this publication, you agree that the order is on a pre order basis and the book will be delivered to you once produced. 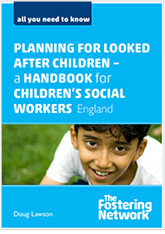 A comprehensive handbook to help children’s social workers understand what they need to do to meet the legal requirements that govern their work with looked after children. Updated to take account of legislative changes, it follows the child’s journey through care planning, placement, case review and transition to adulthood, and includes practical guidance on working effectively with foster carers and staff in fostering services and children’s homes.